﻿ Large Variety of Supplies for the Home Meat Processor. DVD's On Deer, Hog and Beef Processing and Slaughtering. FREE Shipping! We also sell our Own Smoked Bones for Dogs. We Have A New Website - Ask The Meatcutter.com! There Are Many Advantages To Shopping On The New Website: •You Can Pay with Your Amazon Account. •You Can Pay with ApplePay on your iPhone. Updated Tracking Status of Your Order; •Re-Order Previously Ordered Products Fast and Easy; and •Save Products to Your Favorites List. The New Website Also has Product Reviews and Advanced Search and Navigation. Shopping on the New Website's Mobile and Tablet Version is Easier and GREATLY Improved! So if you want to place an order on your Mobile Device please go to Ask The Meatcutter. You can still continue shopping here as always. We've Been in Business and Processing Meat Since 1949 - And We've Been Selling Online Since 2001. We Only Sell Products That We Use At Our Meat Processing Plant - So YOU Only Buy the BEST Products! & Money Orders by Postal Mail. Unique Home Meat Processing Supplier, and Why YOU Should Shop Here! I just want to say Thank You for your speedy service! Ordered on a Thursday... arrived on Monday! WOW! Not at all what I am used to when dealing with the "Net"
I got your posters, Beef & Pork, Color & B&W and must say, I am impressed. The quality seems to be very good and I expect these will last a long, long time! And your pricing is spot on. By that I mean... the price you list is the price paid! No hidden charges or fees tacked onto the end price, Not Even SHIPPING! To top that off, you offer a 100% money back guarantee. (not that I think I will be using this offer) How could a person go wrong in ordering from you??? In my opinion, they just can't! Oh, and just one more little thing, the added note handwritten on the invoice, PERSONAL SERVICE at it's best! I was sure this was a thing of the past, long gone with many other services that I have held so dear. Thank you Craig. You are a breath of fresh air in a world gone crazy. I ordered three knives for my husband for Valentine's day this year and he's been so excited about them that I just ordered two of the 5 inch boning knives and one 8 inch for a very good friend of ours. I can't believe I got an e-mail today saying the knives are on their way after only ordering them this morning! Thank you so much for the unbelievable turnaround time. I think we might even have these in time to give to our friend this weekend. You're the best! By the way, my husband has not had to sharpen any of your knives! what quality products. By this point in time, the Henckle knife would have seen the stone many a time! We'll be Meat Man Customers for Life. I am cleaning out my emails when I noticed this, and I remembered that I owed you some feedback on your videos. I'd like to say that you guys did an excellent job! 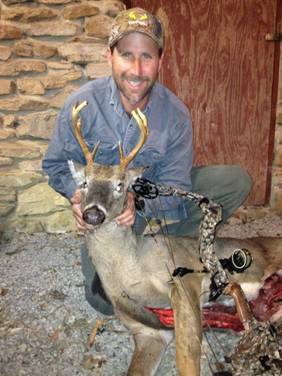 I was successful in my hunt this past October, and I harvested an elk that was 500 lbs. I had viewed the videos before hunting, as I wanted to be able to debone at camp, this keeps me from needing to bring as much ice. I was able to debone a quarter quickly (for me), it took less than 5 minutes per quarter once I had them skinned and clean. BTW.. your video on removing quarters was excellent. I was able to quarter that elk (and debone) with nothing more than a 6 inch filet knife. Only problem that I had in the field was keeping my knife sharp enough to get through the hide, especially the neck. I brought a small field ceramic sharpener with me, but that elk hair is tough. I need to invest in a better knife for that. Any suggestions? I found my receipt from processing of my elk last year (granted, this included making sausage and jerky) but the bill was well over $300. I still have some grinding and sausage making to do, but your videos gave me the confidence to tackle this myself. Thanks again for putting these videos together and for the excellent speed in which they shipped. You guys rock! Just wanted to say THANK YOU!! I don't usually do reviews, but this was one worth writing! We adopted a dog two months ago and he has a wild personality- as cute as it can be it can also be pretty annoying when you're trying to do things and he's mouthing you while you walk...he already poked a few holes in my nice sweaters just trying to play! When we put these bones down (we ordered the large smoked beef knuckles for our 20 lb. mixed breed) and he doesn't even notice we're in the room! I cooked dinner right in front of him just now and he could care less what food I had- he was just too busy :) We just put in our second order already and will continue shopping here. Plus the shipping is extremely fast!! THANKS again! your DVDs were fantastic! they were very informative and helpful, and we felt very confident about the job that we were doing. we actually put our little portable TV right out where we were working, and would play and pause as we worked right along! you helped make the job of butchering our pig very manageable, and we are so pleased to have done it ourselves. we surely feel ready to tackle this annual chore at our little homestead, and would quickly recommend your DVDs to anyone interested in butchering themselves! Thanks for your reply about the meat grinder the one you recommended is very nice. The reviews were all 5-star. I plan to get it when I get the money together.Ã‚Â¦ I know it will last a life time. Also, a little about myself. I raise my own meat birds each spring about 30 Cornish rocks. I also hunt deer and don't ever plant to buy beef again. We had deer burgers the other day and they were fabulous. I also raised two hogs a year ago and plan to raise two each year. I dressed out my two hogs, but then took them to the butcher. I want to do it all next time. I love to butcher my own animals but I don't know a lot and feel very blessed to have found your site. I plan to acquire your video tutorials a little at a time. My son, William, just turned 16 and he wants to become a butcher/chefï¿½. He's very into it. The last set of knives I purchased are for his birthday. I look forward to doing business with you for some time to come and will recommend people as often as I can. By the way, the survey I took has a coding error where on one question that asks how important certain factors were in ordering, it won't let you choose the same level of importance on multiple choices, for example, I could only choose "very important" for one of the five or so criteria. I hope this makes sense. I recently ordered knives from you and I wanted to thank you on your prompt delivery service. They are exactly what I was looking for. Thank you for your reassuring suggestion on the Forschner boning and breaking knives. I also have a story for you. Last week I ordered some books from a certain website named after a river. I ordered the books on Monday, Dec. 29th. I had to pay $10 and change for 3 day shipping and did not receive the books until the following Monday, Jan 5th. I ordered the knives from you on Wednesday, Dec. 31 (New Year's Eve) with no shipping charges and received them also on Monday, Jan 5th. What I'm getting at, is that I received your product quicker than the products I paid to have shipped. Thanks again for your great service all around and I look forward to doing further business with you. I work at a grocery store meat dept. and I am always sending my customers to your website for information and recipes. Thank you and Happy New Year! You are a breath of fresh air! No damn pop ups or blinking adds or other crap that the web is full of. Easy to order.... especially for a hungry half in the bag person like myself. I wanted to try your selection of things I like and you made it toooooo easy for me. I tried to get some preservative from meat shops near home and got the deer look. Thanks for the service.... need more out there like you. Thank you so much, Craig. i didn't expect you to do that...it had been so long , i should have checked it sooner. Like I said, our pig just got big enough to kill. Again, thank you. This is what sets your business apart from the rest! I bought your guys Snack Stick Kit, was truly amazed at how my Snack Sticks turned out...... I never thought it could be that easy....... As soon as this batch is gone you guys will here from me again! I will also pass this along to my hunting buddies!!!!! All I can say is WOW! This is the site to help me cook up that venison to perfection...I have been doing pretty good, but can always use fresh ideas! My husband has processed too many deer for me to remember on my island in the kitchen. This is the best website ever! I have finally found an endless supply of birthday and Christmas presents to get in the future....starting with that knife! We are even considering processing our own beef too. Thank you for the great info. on this site. WOW! Who would ever think a website could make a girl so happy! Thanks!!! Thank You !! Thank You !! Thank You !! You are AWESOME !!!!!!! We are the proud parents of 3 Pomeranians, 2 of which happen to be "VORACIOUS" chewers. I have been searching far and wide for an alternative to rawhide. Every pet store, every web site... you name it. These dogs go through rawhide like it's nothing. One of them even has a little weight problem. I'm sure it's due to the rawhide. It can't be healthy for them to ingest this over time. No other chewing alternatives seemed to be acceptable to them. Believe me I've tried them all. A few weeks ago we found some smoked shanks at our local gourmet grocery. "Jackpot" or so I thought. They were a little too big and quite costly. After getting off all the good crunchy stuff on the outside, (and they couldn't get to the marrow in the middle, only at each end) they lost their interest. The little mouths couldn't get around the big ole thing to work on chewing at it further. And after about breaking my toe a few times walking through the house.... I continued my search. I was very impressed by your website. The "No Shipping Cost" caught my eye and I decided to give it a shot. I bought the "Hickory Smoked Puppy Chews", since the dogs are all under 7 pounds this worked out to be a very good choice for me. They went crazy over them. When I arrive home from work and let them out of the kitchen they run straight for the last place they saw their chew. And three days later they are still working on the same chewies. They can get there jaws around them to chew and carry. It's hysterical to watch. Our local gourmet grocery can't compete with you guys. The only teeny, weenie drawback is that now my beautiful fluffy lap dogs smell like "Hickory Smoked" lap dogs. LOLOLOL --- I don't even care....They smell like my husband after he has been outside smoking ribs. I was totally impressed with the delivery. To place an order on Wednesday afternoon and they arrived on Monday around noon. Who can beat that with no shipping cost added to my order? I was more excited to see these in the mail so soon then anything in a long time. And also the personal note included on my invoice from Craig was priceless. I had just about lost all hope in good old fashion service with a smile. The only thing I can say about this web site is WOW! The info is endless. I've just recently started looking for this type of info and have visited plenty of similar sites but none measure up to yours. I am hoping to order some of your products soon. Thank you for such prompt service. It was truly a wonderful surprised to receive our sausage seasoning today! We're so pleased with your wonderful service, we've even shared your ordering information (invoice) with our friends. You've got our business forever! I just wanted to say thanks for having so much useful information on your site. I don't live anywhere near Missouri (I'm in San Francisco) but I come to your site all the time to look up meat recipes and suggestions after I followed your instructions for cooking a round eye roast and for the first time turned a very inexpensive cut of meat into something that tasted like it was much pricier. I've now ordered your meat reference charts (the whole family - i think the deluxe kit is what it's called) and may soon try some of your spice blends. But I just wanted to take a moment to say a big thanks for all the great info. Are you tired of the hassle other websites put you through just to place your order? You know.........filling out registration forms before ordering .........entering in passwords and user names..............and going through 6 pages of ordering forms and filling in more information BEFORE............you even find out out your shipping cost and total price! Then place your order here at for the highest quality commercial meat processing products backed by years of our own use! And We PROMISE that you will know your Total Cost BEFORE you EVEN click the buy button! EVERY Price you see is your FINAL, TOTAL Price!! ALL Postal Mail-In Orders now receive a 5% Discount! AND AS ALWAYS - FREE SHIPPING IN THE U.S.! 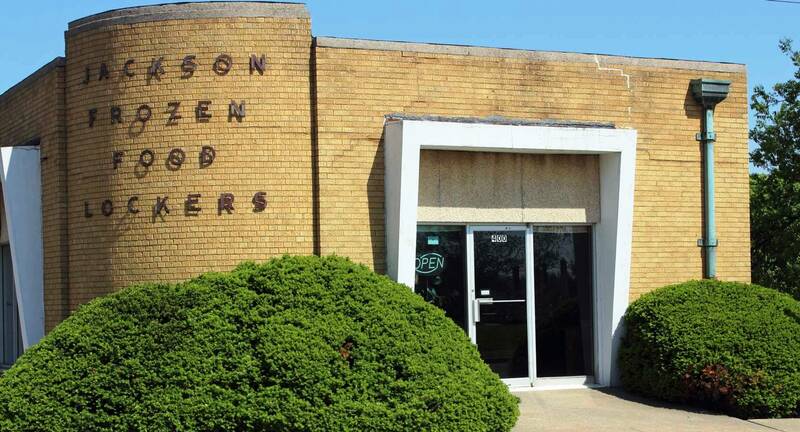 Our parent company, Jackson Frozen Food Locker, has been in business since 1949. Click here to read more about our company history. We would like to thank all of our customers for their business the past 61 years! Think you've found a lower price on the Web? Are you SURE? Have you added in their shipping charges? Our price includes free shipping! And your order usually arrives in 2 to 3 days! on top of their shipping charge? We have NO HANDLING CHARGE! NOT after you fill out 4 or 5 pages of credit card information, shipping addresses AND find out you have to Register yourself with THAT website with a lot of personal information! fee or a Extremely High Shipping Fee! might takes weeks to receive. THEY DO NOT ship to P.O. Boxes! for your order when it arrives! And there is no Extra Residential Charge! We Now Have MANY FREE PDF Articles Available for You to View or Download! EVERYTHING You Want to Know About Beef - 24PAGES! Video Clips of all of our DVD's!! Click Here To View. These are clips from the actual DVD's. This will give you a brief look at the information provided in our DVD's. The actual DVD's will be in higher resolution than the video clips. We have received a very thoughtful and helpful review of our Beef Processing and Beef Slaughtering DVD's from Jill Winger at The Prairie Homestead. For anyone wanting to learn how to "live off the land" - we highly recommend this website. This is an unbiased review (along with photo's) that we think those interested in purchasing any of our DVD's will be very interested in! You can read the review by clicking here. We now offer most of our seasonings with Wholesale Case Prices! We have High Temperature Cheddar Cheese, High Temperature Pepper Jack Cheese AND High Temperature Habanero Cheese!!!! These High Temperature Cheese's are perfect for adding that "Special Touch" to your Smoked Beef/Deer Sausage, Snack Sticks and Bratwurst. All varieties of cheese are available in 2½ lb. Bags with FREE Shipping in the U.S.! Click Here to check out Our High Temperature Cheese's! Receive One Extra Large Knuckle Bone, One Large Knuckle Bone, One Shank, One Tendon and Two Puppy Chews for ONLY $29.99! Order the Variety Pack if you have more than one size of dog or if you are trying to decide what type of bone your dog likes best! Forschner-Victorinox 6 Inch Skinning Knife. As Always - Shipped FREE! 1 Hour & 30 Minutes Long! You WON'T FIND These Video's Anywhere Else on the Internet! Purchase 1 of our Cut-Resistant Gloves for ONLY $17.97! Purchase the Forschner-Victorinox 5 Inch Boning Knife, 8 Inch Breaking Knife AND the 6 Inch Skinning Knife all together for ONLY $93.97!! Shipped FREE in the U.S.!